Who are the gray people? And what do they want with thirteen-year-old Danny Noble? It all starts with the body Danny and his best friend, Donny Meachum, find hidden in a storm culvert on a hot July day in 1966. 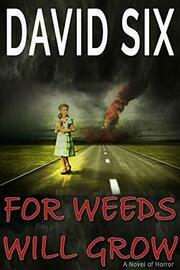 Danny has never seen a body before, but even at his young age, he knows what has been done to the corpse is not normal. Not normal at all. And then his hallucinations start. At least, Danny hopes they’re hallucinations, because if they aren’t, then… Well sir, that means what he’s seeing is real! The doctor tells him it’s nothing, just growing pains is why he passes out when he sees the first vision, brought on by too much birthday cake. But Danny isn’t so sure. A circle of wooden doors held shut with iron brackets and braces and nails and locks, floating around you in your mom’s dining room, isn’t something you just dream up, not even a boy with a roomy imagination like Danny. No sir. By something on the other side. 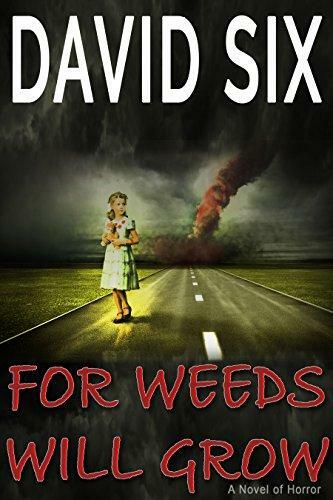 Filled with family secrets and supernatural horror, “For Weeds Will Grow” is the story of Danny Noble across the years, a boy who only wants to be normal, until he realizes that “normal” is something he can never have. Because boys with a destiny are anything but ordinary.